This report featured in the August 2017 issue of the ASHRAE Journal newsletter looks the challenges smart cities such as San Diego face in their efforts to become smarter cities. ASHRAE Member, Ron Bernstein contributes to this report drawing comparisons and sharing lessons-learned from the building automation industry in terms of control network and device integration, cyber security risks, and data management. Please join me along with Sierra Wireless where we will discuss new opportunities for connected cities using broadband communications and a vision for new solutions. With 300 million street lights in the world today and LED new installations or retrofits gaining strong momentum, connected street lighting is expected to reach up to 38 percent of the total street light market by 2025 (Northeast Group). Street lighting is central to a broader smart city vision that municipalities are starting to embrace in order to reduce energy and operational costs. 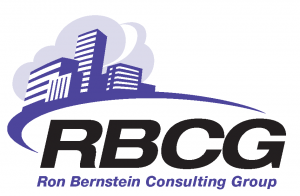 Mr. Bernstein is President of RBCG, LLC providing consulting services to organizations needing help navigating their energy and automation strategy. Ron has over 30 years of experience in industrial, commercial and residential automation and controls technologies. Remy Marcotorchino is Director, Marketing and Market Strategy at Sierra Wireless, with worldwide responsibilities in the industrial and security vertical markets. Prior to joining Sierra Wireless, he held positions in Fortune 500 companies including Texas Instruments, Sanmina SCI and Alcatel. On Tuesday I will be moderating an industry forum panel discussing with BACnet, LonMark, OpenADR, Climatalk, EnOcean and CABA with a focus on industry issues, challenges and opportunities for collaboration. LonMark’s booth is 960. Stop by if your at the show.